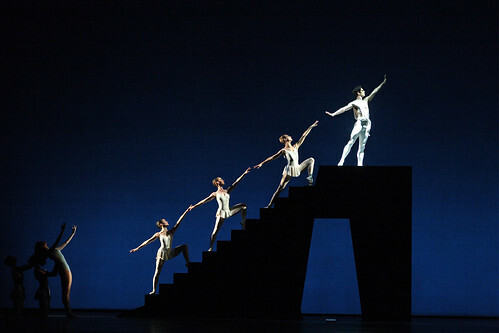 George Balanchine’s interpretation of the myth of Apollo is one of the landmark ballets of the 20th century. Its classical beauty is underpinned by Stravinsky's magnificent score. There are currently no scheduled performances of Apollo. 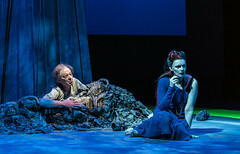 It was last on stage 22 February—14 March 2013. 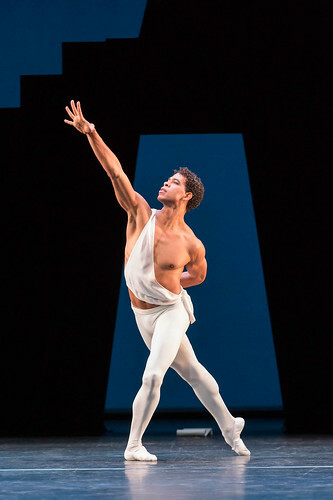 The ballet relates events surrounding Apollo, Greek god of music, from his birth to his assumption of the leadership of the muses on Mount Parnassus. George Balanchine was just 24 when he created his ballet about the youthful Greek god Apollo. It was a landmark in his career, in which he moved from the modernism of earlier works to re-embrace and reinterpret classical choreography. 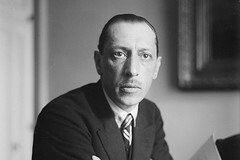 The ballet also marked the start of a long, collaborative relationship with Igor Stravinsky, who produced a score of neoclassical vitality. Balanchine's Apollo had its premiere in Paris in 1928 (a few months after the unsuccessful premiere of the score in Washington with choreography by Adolf Bolm), and its success launched Balanchine onto the international stage. The ballet opens with the birth of Apollo against a luminous blue background, evoking the Aegean Sea. Three muses, wearing brilliant white costumes, dance solo variations before Apollo dances a pas de deux with Terpsichore, the muse of dance. Balanchine’s choreography is perfectly in tune with Stravinsky’s music, which moves between dynamic playfulness and moments of solemnity. What did you think of the Mariinsky's performance of Balanchine's double bill?